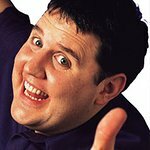 British comedian Peter Kay will unveil a new single to raise money for the BBC’s Children in Need charity at the organization’s annual TV extravaganza on November 20. Details of the single are being closely guarded, but the charity is promising over 100 faces from Britain and America will be involved in the video. 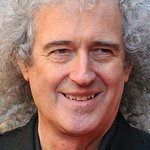 Also available from HMV and download and benefiting Children In Need is “All You Need is Love” – a reworking of the Beatles classic, recorded at the famous Abbey Road studios, featuring the talents of Terry Wogan, Bill Wyman, Brian May, Bryan Ferry, Sharon Corr, Pink Floyd's Nick Mason, Paloma Faith, Lee Mead, Hayley Westenra and more. Last week, the charity benefited from a massive charity concert organized by Gary Barlow that saw a reunion between Take That and Robbie Williams, as well as performances by Lily Allen, Annie Lennox, Katherine Jenkins, Paul McCartney and many more.